ABBA was a Swedish disco/pop/dance group formed in Stockholm in 1972, consisting of Agnetha Fältskog, Björn Ulvaeus, Benny Andersson, and Anni-Frid Lyngstad. 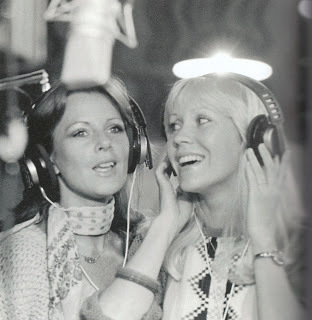 ABBA is an acronym of the first letters of the band members' first names (Agnetha, Benny, Björn and Anni-Frid) and is sometimes stylized as the registered trademark ᗅᗺᗷᗅ. They became one of the most commercially successful acts in the history of popular music, topping the charts worldwide from 1972 to 1982. They are also known for winning at Eurovision in 1974, giving Sweden its first victory in the history of the contest and being the most successful group ever to take part in the competition. ABBA has sold over 381 million albums and singles worldwide, which makes them one of the best-selling music artists of all time, and the second best selling music group of all time. 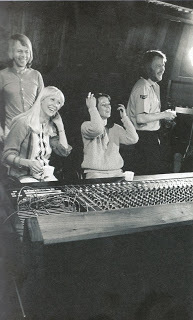 ABBA was the first group to come from a non-English-speaking country that enjoyed consistent success in the charts of English-speaking countries, including the UK, Ireland, the U.S., Canada, Australia, New Zealand, and South Africa. The group also enjoyed significant success in Latin American markets, and recorded a collection of their hit songs in Spanish. 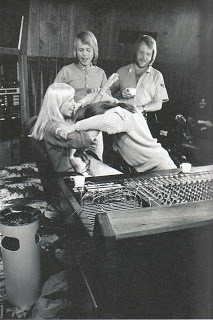 During the band's active years, Fältskog and Ulvaeus were very much in love, and married, as were Lyngstad and Andersson, although both couples later divorced. At the height of their popularity, both relationships were suffering strain which ultimately resulted in the collapse of the Ulvaeus-Fältskog marriage in 1979 and the Andersson-Lyngstad marriage in 1981. These relationship changes were reflected in the group's music, with later compositions including more introspective, brooding, dark lyrics. 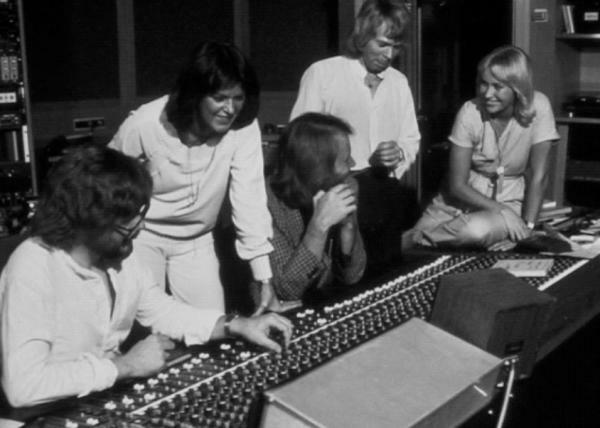 After ABBA broke up in late 1982, Andersson and Ulvaeus achieved success writing music for the stage while Lyngstad and Fältskog pursued solo careers with mixed success. ABBA's music declined in popularity until several films, notably Muriel's Wedding and The Adventures of Priscilla, Queen of the Desert, revived interest in the group, spawning several tribute bands. In 1999, ABBA's music was adapted into the successful musical Mamma Mia! that toured worldwide. A film of the same name, released in 2008, became the highest-grossing film in the United Kingdom that year. The group was inducted into the Rock and Roll Hall of Fame on March 15, 2010. ABBA was honored at the 50th anniversary celebration of the Eurovision Song Contest in 2005, when their hit "Waterloo" was chosen as the best song in the competition's history. 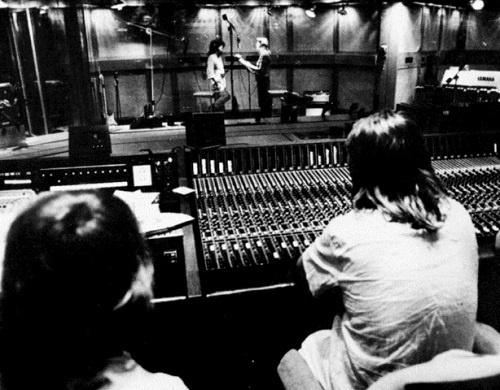 Do you have content or pictures, to add, of ABBA - Recording Sessions? Please feel free to Share it, here!